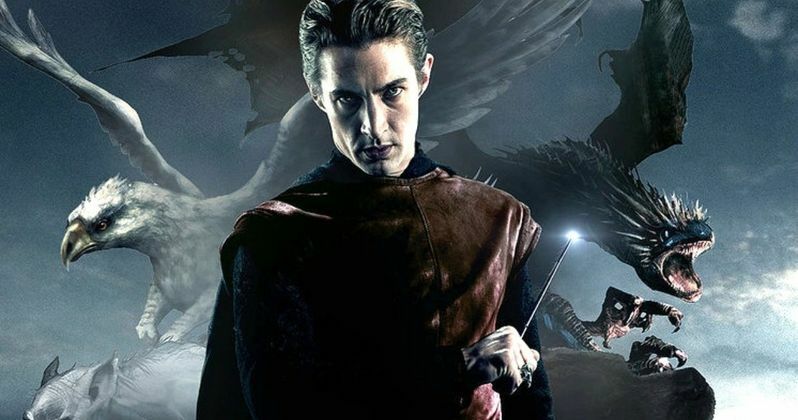 After directing the last four Harry Potter movies (Harry Potter and the Order of the Phoenix, Harry Potter and the Half-Blood Prince, Harry Potter and the Deathly Hallows - Part 1 and Harry Potter and the Deathly Hallows - Part 2), David Yates is in talks to direct the spin-off Fantastic Beasts and Where to Find Them, the first in a planned trilogy. Insiders claim that no deal has been made yet, but negotiations between David Yates and Warner Bros. are ongoing. The story is set seven decades before Harry Potter's story begins, centering on the adventures of Newt Scamander, the fictitious author of the Fantastic Beasts and Where to Find Them book that was featured at Hogwarts. Author J.K. Rowling is making her screenwriting debut with Fantastic Beasts and Where to Find Them, revealing in an interview that this spin-off isn't a prequel or a sequel to Harry Potter's story. "Although it will be set in the worldwide community of witches and wizards where I was so happy for seventeen years, Fantastic Beasts and Where to Find Them is neither a prequel nor a sequel to the Harry Potter series, but an extension of the wizarding world." Warner Bros. announced a November 18, 2016 release date for Fantastic Beasts and Where to Find Them, although it isn't clear when shooting will begin, since David Yates still has to resolve scheduling issues. He is currently shooting the Tarzan reboot until November.